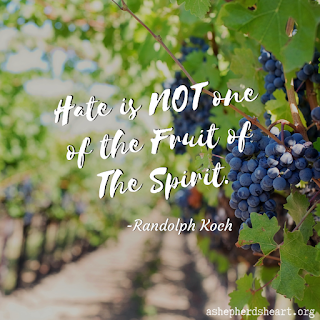 A Shepherd's Heart: Hate is NOT one of the "Fruit of The Spirit". Hate is NOT one of the "Fruit of The Spirit". 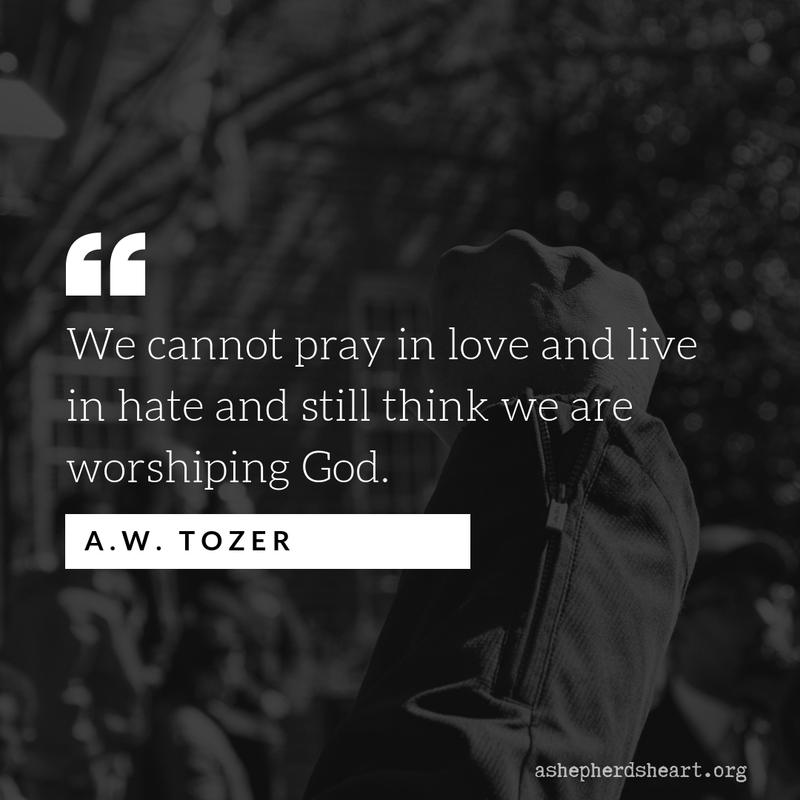 We're called to speak the truth in love and that doesn't mean we're supposed to speak and act in hate. Now, I know there are some who have an intellectual belief in "a god", but I'm not speaking about them, rather, I'm speaking to those who know and follow The One True King, as they've received His free gift of salvation through the sacrifice of His Son Jesus Who died on our behalf so we might have forgiveness and life. Don't exalt your politics, favorite sports team, your opinion on any topic, or yourself or anything else over The Savior you claim to follow or the people around you who don't deserve your often vial and hateful onslaught. It doesn't mean you can't have or shouldn't have an opinion but it does mean how you communicate that opinion matters! You're actions also matter! If you hate others, you have a heart problem because we're supposed to be known by our love as He first loved us. People are supposed to know we are His because of our love. Now, this doesn't mean we're to condone sin but we are to have a love for mankind because we're all in need of The Savior and if you stop to think about it, when has hate ever won anyone over?! 1 - We're supposed to love The Lord with all of our heart, soul, mind, and strength. (Deuteronomy 6:4-7, Matthew 22:37-40, Mark 12:30-31) We cannot truly love God and hate others. 4 - There are many out there misrepresenting The Lord by their words and actions and they will stand accountable for this. 6 - I see people claiming to be Christian's hating everyone around them regardless of whether they are inside or outside of the body of Christ!? 7 - Read 1 Corinthians 13 and the 1 John 4:7-12 and 1 John 5:1-5. 8 - I see a lot of so called "follower's of Christ" trying to shred each other online and in person because they've decide hating on each other is somehow OK. Meanwhile their bible's sit somewhere collecting dust because they obviously haven't read it in a while! It's time for that to stop! These 8 thoughts or reasons just scratch the surface regarding what God's Word teaches us about love and we need to go back to the school of God's Word and be schooled by His Word and the power and conviction of The Holy Spirit. None of us will do this perfectly but we're not alone as we battle to actively take God's Word and live it out. So, let's pray and ask The Holy Spirit to help convict us and help us reevaluate our lives in this area in Jesus name! Lastly, remember this, you will be held accountable for your actions by The One you say you follow...so, you better take inventory of your life and realign yourself with God's Will, Word, and Way! September 11, 2001 - May We Never Forget!